Cafe Vale Tudo We are a high end medical marijuana dispensary located in Lake Forest, CA. And the stupidity continues with stupid decisions like this going on. Who knew a plant wasn’t a plant apparently? It grows in the ground, requires sunshine and water to blossom and earns California growers an estimated $17 billion a year. But don’t call marijuana an agricultural crop in Tulare County. The Fresno Bee (http://bit.ly/pwDIGg) reports that a judge ruled this week against a medical marijuana-growing collective that wanted to operate on land zoned for agriculture. Tulare County Counsel Kathleen Bales-Lange says it’s the first time that courts have addressed whether marijuana can be classified as an agricultural crop. California voters legalized pot for medicinal purposes in 1996. The case began when the county Board of Supervisors sued the Foothill Growers Association, which operated in an agriculture-zoned building. In a ruling finalized Tuesday, Judge Paul Vortmann said the act of growing a controlled substance is not an agricultural use of property. International Cannabis & Hemp Expo Coming To Oakland! Oakland, Ca. 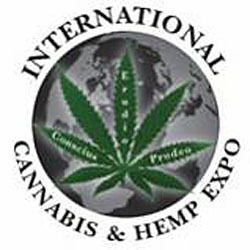 – Cannabis activist and CEO of the International Cannabis & Hemp Expo (INTCHE) Kim Cue is proud to announce that the 2011 expo will be held out in the open on the streets of downtown Oakland on Saturday and Sunday, September 3rd and 4th from 12pm-8pm. The area between 14th St., Clay St. and San Pablo Ave including Ogawa Park will be blocked off for this celebration of education, awareness, and advancement of the cannabis movement. Located directly in front of City Hall will be the designated “215 Area” for patients to medicate. INTCHE was the first event to have an approved onsite medicating area for patients, and it was the first to bring the cannabis community together with the hemp industry to educate the general public on the 2 related plants and their individual benefits to the populace. Since the debut of the first INTCHE, many other producers have created events to try to capitalize on the emerging industry – but without a solid agenda of professionalism, education and advancement of the political movement for patients of medical cannabis. The agenda for the 2-day event includes speaker’s panels debating current cannabis and hemp issues. One of those will be a discussion of the upcoming 2012 initiative to put legalization on the ballot in California. This topic holds significance because Colorado and Washington State have already put plans in motion to put it on the 2012 ballot as well. Historically initiatives have a greater chance of passing in presidential election years and when they have 60% support going into the race. Colorado is already at 80% approval. Passage of legalization propositions in any or all of these states will force a showdown with the Feds over States’ rights. The Gallup National Poll in October of 2010 showed 46% of Americans now would vote for full legalization, and that number continues to grow. In addition to the panels there will be over 300 vendors with information about how to obtain a recommendation for medical use, new products, growing techniques, locations of dispensaries, etc. There will be live entertainment and a complimentary hash bar in the 215 Area. A variety of food and nonalcoholic beverages will be available at the event. Surrounding restaurants and bars outside the event will be open for business. Judges who have purchased the $300 VIP ticket will receive a SWAG Bag with over 320 samples the week prior to the event. This will include 120 strains of cannabis, 40 hashes, 40 oils, 40 waxes, and a variety of edibles. The VIP ticket includes 2 days all access, a catered buffet including an array of cannabis infused foods, live entertainment on a private stage in the tented VIP area, a celebrity meet and greet, vapor lounge, and 2 hash bars. A limited number of these tickets are being offered. Over 50% of these have already been sold. These tickets are only available at: Angels Care in San Jose, Sonoma Patients Group in Santa Rosa, and 7 Stars in El Sobrante. Judges will cast their ballot at the event and winners will be announced at 4:20pm on Sunday. Up to date information and advance ticket sales are available at www.intcheevents.org. Medical Marijuana, Inc will begin to sell CBD and non-THC Cannabidiol products as health and wellness products in the United States in August of 2011. These products do not contain THC and therefore don’t carry a risk of addiction and abuse for those who use medical marijuana for what others perceive to be purely social enjoyment. The first lines of products are to be distributed to more than two thousand health and wellness centers throughout the United States as well as direct to consumers through the Hemp Network, a division of Medical Marijuana Inc (www.thehempnetwork.com). The products will be available in a CBD tablet, CBD capsule, and CBD-infused beverage line, all which carry the health and wellness benefits of CBD cannabis extract. The Hemp Network Mission Statement says they’re great people who are out to promote Hemp through education and political awareness. The Hemp Network is also a division of the company Medical Marijuana, Inc so “the Network” is in place to raise awareness and creation reception for a product that will be manufactured/distributed by Medical Marijuana Inc.
That’s so win-win..or is it? Medical Marijuana, Inc is also in negotiations with Europe and China in hopes of getting distribution deals as more and more people become receptive to the idea that hemp is beneficial and profitable. The same can be said about marijuana; I wonder if this group’s hemp products actually offers some therapeutic benefits or if it’s merely an association game to exploit the buckling medical marijuana market since the Feds pulled that bullsh*t last week. In June, Medical Marijuana Inc also acquired a 50% stake in Cannabank, a patient recommendation clinic. They seem to be moving toward controlling public perception and offering information to those seeking alternative therapies. Can Your Car Run On Hemp Fuel? When Barack Obama became president, there was a tremendous push in the political realm to embrace green technologies and renewable energy research as an alternative to fossil fuels. Four years later, not much has changed. and the economy is a wreck. This summer, we are facing ridiculous gas prices, pundits will blame everyone else but their own party and President Obama will give a big, fat speech. Meanwhile, corporate and political interests serving Big Oil—one our biggest fossil fuel suppliers—will continue to make a sizeable profit. One way to wean our nation off fossil fuels is to find an alternative to gasoline for our cars. One alternative to gasoline is methanol, a type of fuel usually derived from corn oil. However, the process is difficult and doesn’t produce a lot of fuel. Hemp can also produce methanol, and is a better choice because it grows a lot faster than corn and produces far more fuel. Corn yields an average of 1,550 liters of methanol per acre grown. 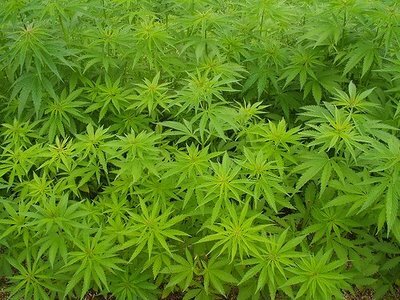 Hemp yields up to 10,000 liters. Hemp fuel is also biodegradable, burns without creating sulfur dioxide and won’t damage the environment. Hemp cellulose can be processed to create clothing, paper, plastic and feed for animals. So, where can we find a processing plant to turn hemp into oil? A hemp biodiesel processing plant designed by New Zealand’s Bio Gas Company, Ltd. could create 300,000 barrels per day of oil from 400,000 acres of hemp—all without invading Iraq or destroying the Gulf of Mexico. Hemp methanol would cost about a dollar a gallon, compared to gasoline. Another advantage of hemp as an alternative fuel source is the obvious local economy that would spring up around it. Processing hemp for fuel on a mass scale, including the upgrades necessary to adapt our vehicles to use hemp oil (and adapting the existing infrastructure to supply it), would provide reliable jobs throughout the country. In 1900, Rudolph Diesel displayed his engine at the World Exhibition in Paris. The engine he demonstrated ran on peanut oil. It was only later that he developed engines to run on gasoline because it was cheap back then. Even today, it is relatively easy to modify a diesel engine to run on vegetable, corn or hemp oil. Will we one day see a hemp car? We already can. Hemp Car (http://www.hempcar.org) was a project created by Grayson Sigler and Kellie Ogilvie of Canada. The point of the project was to create an automobile that ran exclusively on hemp fuel and put it to the test. The automobile drove more than 10,000 miles from Toronto to Washington, D.C. in an effort to demonstrate the practical use of this technology. 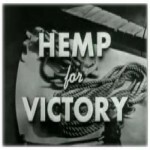 Activists and volunteers in both countries provided the hemp fuel necessary for the jaunt. That was back in 2001, and the technology has only improved since then. The Obama administration could truly give us hope and change if it embraced hemp fuel technology. We owe everything to fossil fuels for giving us the modern society we have today. Unfortunately, our reliance on them is simultaneously destroying our economy and the environment. Hemp fuel just might be the answer. It’s clear the folks behind the Hemp Car took their alternative fuel project seriously. Check out the project’s manifesto: “Industrial hemp would be an economical fuel if hemp were legal to cultivate in the United States. Industrial hemp has no psychoactive properties and is not a drug. 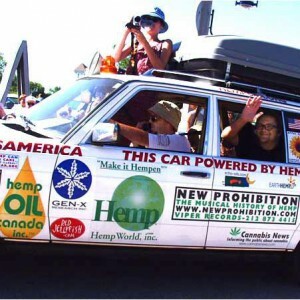 Hemp Car demonstrates the concept of hemp fuels on a national level and promotes the reformation of current law.” If that doesn’t pump (ouch) you up, I don’t know what will. The hemp plant is of foremost importance to protecting the environment. It is simultaneously the most useful and the most underutilized plant of anything we have access to. The environmental implications of hemp are wide reaching and extremely powerful. Not only is hemp great for the Earth’s environment, but it is the most nutritious resource for the human body’s internal environment. While hemp’s benefits require pages upon pages to describe completely, I’d like to give a brief overview of everything this one plant is capable of. The act of simply growing hemp is great for the environment. The roots are incredibly long, and break up the soil to make it easier for other crops to grow in. This also brings up nutrients from deep down for future crops, including more hemp. One report from Kentucky stated that a batch of hemp was grown on the same land for 14 consecutive years, without any reduced yields or soil depletion. This is pretty incredible, considering that hemp can yield four times as much pulp per acre as trees, and three times as much fiber as cotton. One ton of carbon dioxide is removed from the atmosphere for every two tons of hemp grown, and since hemp can produce as much as twelve tons per acre, the carbon dioxide removed adds up fast. Hemp can be used to make all kinds of environmentally friendly products, and is a great way to help us use much less petroleum. Hemp can be used as a clean biofuel which releases no sulphur oxides when burned, and as a biodegradable alternative to petroleum plastics. Hemp paper is stronger than wood pulp paper, can be recycled up to 8 times (compared to 3 with regular paper), and does not require dangerous bleaching agents. The list goes on and on, but what is perhaps most important is the power of hemp nutrition. Seed from the hemp plant is the most nutritious food in the world. It contains 11 grams of protein per 3 tablespoons, but the quantity is not as important as the quality. Hemp protein is 100% complete, with all the essential amino acids, but an even better characteristic of hemp protein is its bioavailability. It is 65% globulin edestin, a simple type of plant protein that is very easy to digest. This is the highest in all the plant kingdom and it makes hemp protein the best protein in the world. As if that wasn’t good enough, hemp protein has the perfect balance of Omega-6 and Omega-3 essential fatty acids, along with Omega-9 fatty acid. These acids are critical for the body to efficiently perform life sustaining chemical processes, and having high quantities of good fatty acids will reduce the risk of all types of diseases. Further still, hemp seed has lots of fiber (10% soluble, 90% insoluble), minerals (magnesium, manganese, phosphorous, zinc, calcium, and more), antioxidants, and chlorophyll. Why is this especially important? Hemp seed can be baked into bread and used as a staple food. If this were the staple of the world, there would be no malnutrition at all, and that goes for developed and undeveloped countries. The power of hemp needs to be utilized by the world, for the sake of the environment’s health and our health! This article was written by Justin Kander from Versativa, an innovative new company which produces raw hemp food and a powerful type of hemp seed concentrate. Dozens of people with little raw food or hemp experience have used these products to change their lives and experience the benefits of hemp for themselves. If you want highly detailed information about the company, products, and dozens of testimonials, check out the Versativa Superfoodspage.